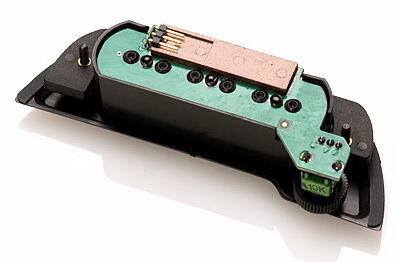 EMG's extensive experience in designing active magnetic pickups is now available for your acoustic guitar! 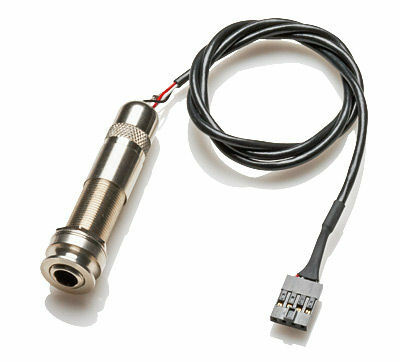 The EMG ACS active magnetic soundhole pickup features a built-in preamp with volume control that provides extended frequency response, high output and low noise, and increased attack and sustain in an easy to install, pre-wired kit. The EMG ACS is compatible with any amplifier, mixer or PA system. 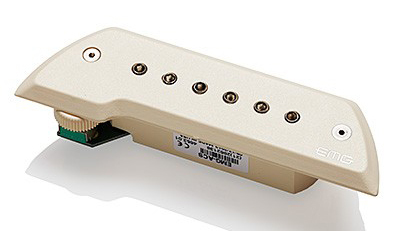 The EMG ACS pickup has adjustable pole pieces for string balance adjustments, and will work with any type of steel strings, including bronze and phosphor bronze. Champion fingerstylist Pat Kirtley is only one of many players who have discovered the ACS, and only an active design can deliver the kind of frequency response, output, and quiet performance needed in a sound hole pickup. The ACS employs a unique internal preamp that's been tailored for the phase and frequency response of an acoustic guitar while still retaining a brilliant top-end favored in acoustic guitar tone. 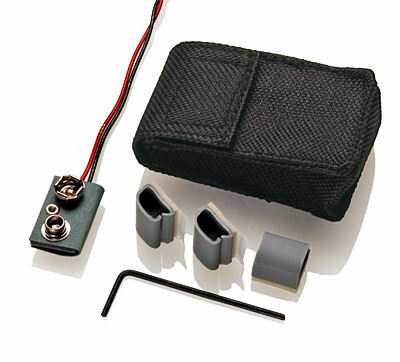 Package Includes: EMG's exclusive Quik-Connect cable, End Pin Jack with cable, cable keepers, batter holder, allen wrenches (.062 and .093 inches), hook-and-loop dot, and instructions. For steel string acoustic guitars with 6 or 12 strings, will not work on nylon string guitars. Note: This pickup has been tested and is suitable for 6 and 12 string steel string acoustic guitars, and Bajo Sexto using steel strings. Soundhole size: 3.75" to 4.25"
Fishman Prefix Plus-T Onboard Preamp/EQ/Pickup .125"